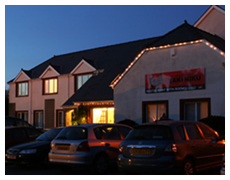 Popularly known “Cae-Garw lodge” renamed as Seoul House is a TWO star rated Inn and restaurant with focus of operation towards providing our customer with a relaxing and comfortable atmosphere. Easy accessibility from Cardiff central and Newport makes it a desirable destination for travelers. We offer typical warm and homely atmosphere of single, double and triple rooms with en-suite facilities.